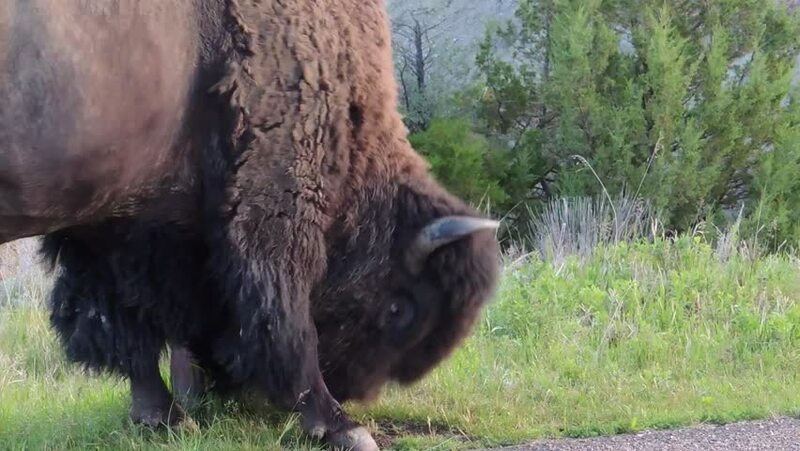 A closeup bull bison uses a sign for a shoulder rub in Theodore Roosevelt National Park. North Dakota. sd00:10American Black Bear (Ursus americanus) roaming along roadside, looking for new shoots of plants and grasses, as they assist in rebuilding muscle and strengthening the skeleton after hibernation. hd00:32Cow standing in a field.